An Owatrol customer has sent us these pictures showing the impressive results that can be achieved with Owatrol solutions. 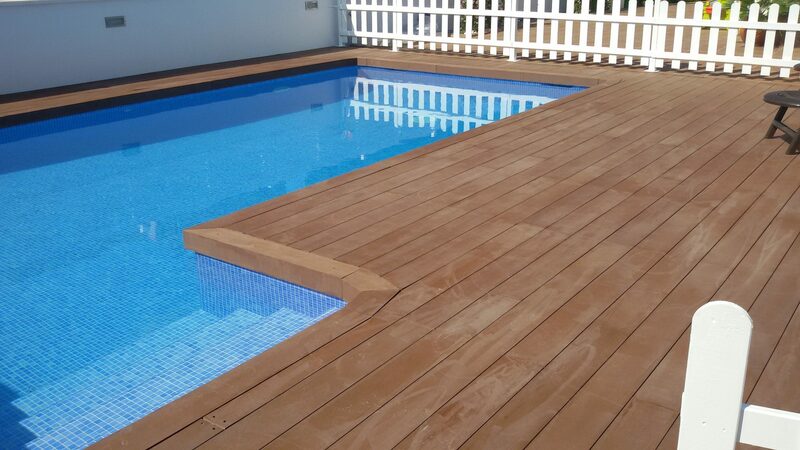 This customer has a composite deck around their swimming pool which had previously been treated with wood stains and was looking pretty ropey. Firstly, the customer had to remove the previous stains from the decking. This was done using Prepdeck wood stripper. 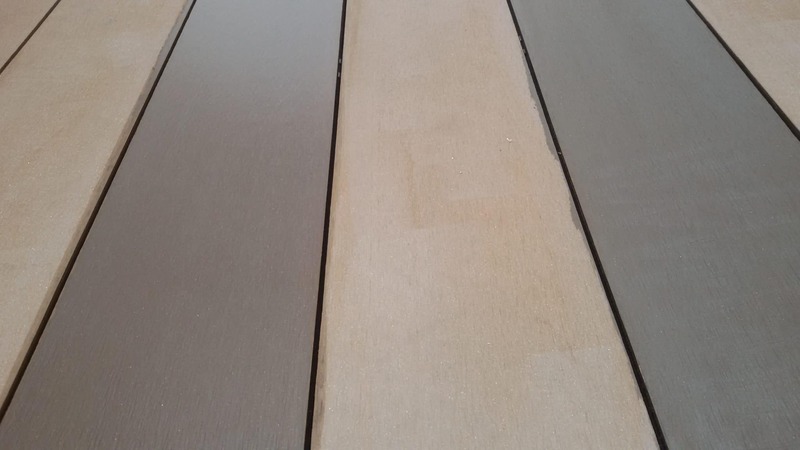 Prepdeck is a high grade wood stripper, perfect for removing paints, stains, oils and other contaminants. 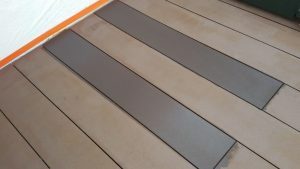 To use it you first apply the Prepdeck to the area to be stripped or cleaned and then leave it to work. After a short while (the exact amount of time will depend on the finish/finishes being removed) test a small area with nylon scrubbing brush to see if the finish is lifting. If it is lifting, then scrub the area with a stiff nylon brush, deck brush or use a Power Washer depending on the type of wood. Always work in the direction of the grain. Rinse with fresh water, using the highest pressure from the water source available. Alternatively, use a Power Washer working in the direction of the grain. After using Prepdeck you must neutralize the surface of the wood straight away using Net-Trol wood cleaner. This is an important step as Net-Trol will stop the Prepdeck from continuing to strip the wood. 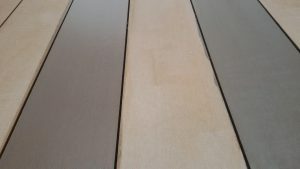 This is done by applying the Net-Trol to the surface of the wood (when still wet) with a synthetic brush or roller (medium or long pile). You then need to scrub the surface with a stiff nylon/synthetic brush and leave it to stand for approximately 10-20 minutes. After this time, scrub the surface whilst rinsing with water or use a pressure washer (max. 60 bar). You then need to wait 48 hours for the wood to dry before applying a finish. 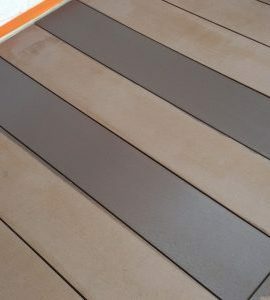 The picture below shows what the deck looked like after Prepdeck and Net-Trol had been used to prepare it for a new finish. 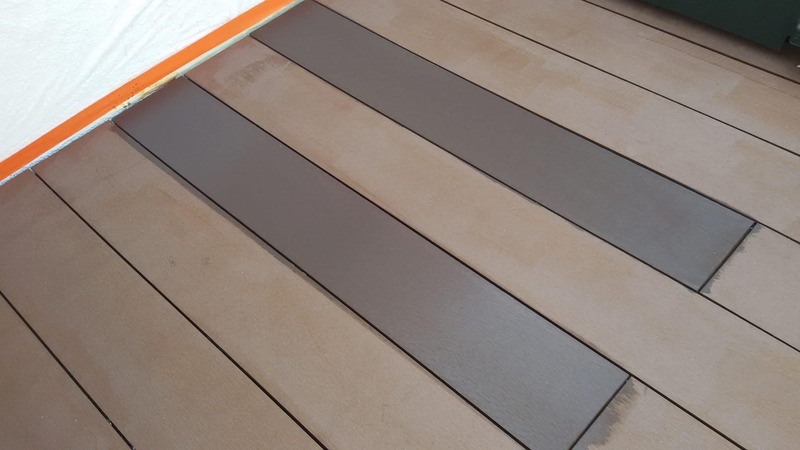 The composite decking was then ready for a new finish and the customer chose Owatrol’s Compo Care. This is a product designed specifically to protect, enhance and revive the colour of composite wood. It’s a transparent tinted coating which is available in either brown or grey and is so easy to apply with just a single coat applied by brush or roller! It enhances and revives the colour of the wood whilst also protecting it from stains. Compo-care also waterproofs the surface and it gives a matt sheen finish. 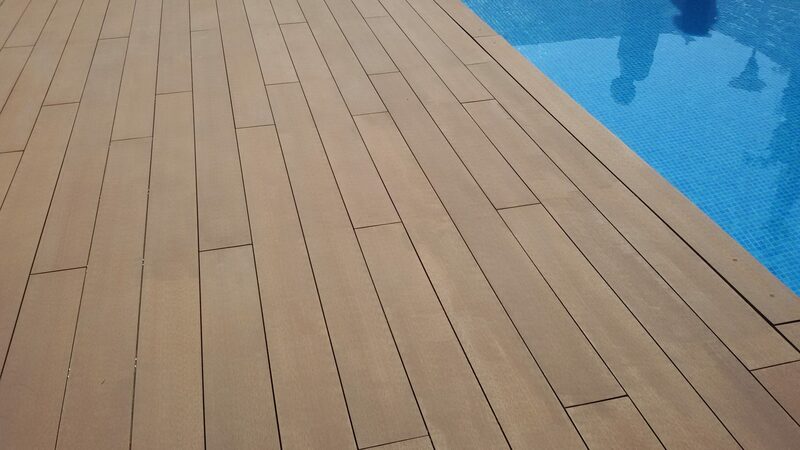 Below you can see a great comparison of how the deck boards looked with and without Compo Care. We think they look great! If you have recently completed a project using Owatrol solutions we’d love to feature you on our website. Please do get in touch!